“Find or write an incredible script that talks about a world that no one has seen before.” This piece of advice for up-and-coming filmmakers and screenwriters comes from Bradley Gallo, co-founder of Amasia Entertainment. Gallo founded the company with Michael Helfant in 2013. Since then, Amasia has been instrumental in producing boundary-breaking films that undeniably feature worlds previously unexplored. Amasia also found that coworking breeds success during their time at Village Workspaces. One of the best things about working at our coworking space, Village Workspaces, is seeing the fantastic companies in our space absolutely thrive. From startups to established companies in tech, PR, real estate, and writing, you name it, it’s here. The focus of today’s blog is the entertainment industry. Namely, how a production company can create brilliant work in a coworking environment. 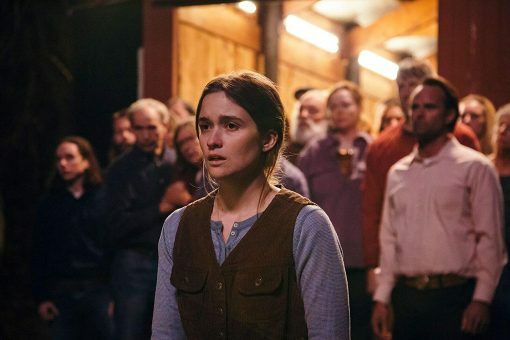 In January, “Them That Follow” premiered at Sundance’s 2019 lineup! We read the synopsis of the film and were immediately drawn in: “set deep in the wilds of Appalachia, where believers handle death-dealing snakes to prove themselves before God, Them That Follow tells the story of a pastor’s daughter who holds a secret that threatens to tear her community apart” (IMDB). As fans of Amasia, we’re thrilled that this film is receiving such great recognition! And we’re stoked that this fantastic production was helped along via our motto that coworking breeds success. Gallo shared with us that this film brings together some very significant actors, including Alice Englert, who previously starred in Top of the Lake. The film also stars Lewis Pullman, who recently appeared in Bad Times at the El Royale. We also are graced by the presence of Olivia Colman, an Oscar winner for her work in The Favourite. Walton Goggins is also a star who plays the snake-handling preacher. And of course there’s famed comedian Jim Gaffigan. A genuinely star-studded, talented cast! This film represents the second time that Amasia is working with a first-time director. Gallo says that the company really likes to grow talent from the beginning of careers. Gallo also mentioned that 50% of the films that Amasia produces are directed by women. Moving forward, he’s hoping that people will understand that Amasia can produce genre films as well as prestige films. “Them That Follow” Benefited From Our Successful Coworking Environment. Of course, we had to ask Bradley about his experience at the Village, and how our coworking space, Village Workspaces in West Los Angeles, might be contributing to the company’s success. Bradley cites the close-knit nature of the office, and how it keeps the whole team together. He says that this ultimately makes the team more effective, because he truly believes coworking breeds success. Bradley believes that the future of office space will be more communal, like the Village, and that this will help foster a community of idea-sharing and allow members to gain new perspectives on their work and the work of others. Bradley is delighted to be in our space, and he’s also happy that the success of Them That Follow happened while Amasia was at Village Workspaces. Thank you to Bradley for sharing your insights, and congratulations to you and your team on your success! We’re glad our successful coworking environment helped!